As part of our preparations for our Christmas Fair, (and also to coincide with St. Andrew’s Day), the boys and girls used a computer program, www.tartanmaker.com to create their own tartan. 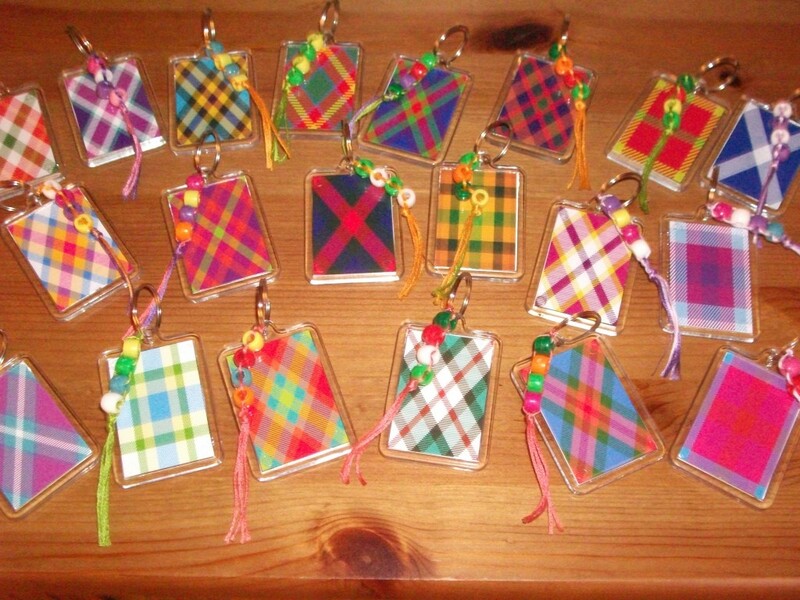 First of all, they selected 4 coloured beads, then selected colours on tartan maker which would match well. We could then play about with the features to create a design we were happy with. We have used our designs to make keyrings to sell at the Christmas Fair. Previous PostOur Sea TopicNext PostPrimary 5/6 mentioned in a blog! Love these, want to buy one at the fair! I love the keyrings they look fab no wonder they had all sold out before i got to the fair well done everyone.